Ka’ena point is the farthest western tip of the island. The point is made up of lava rocks and weathered coral. 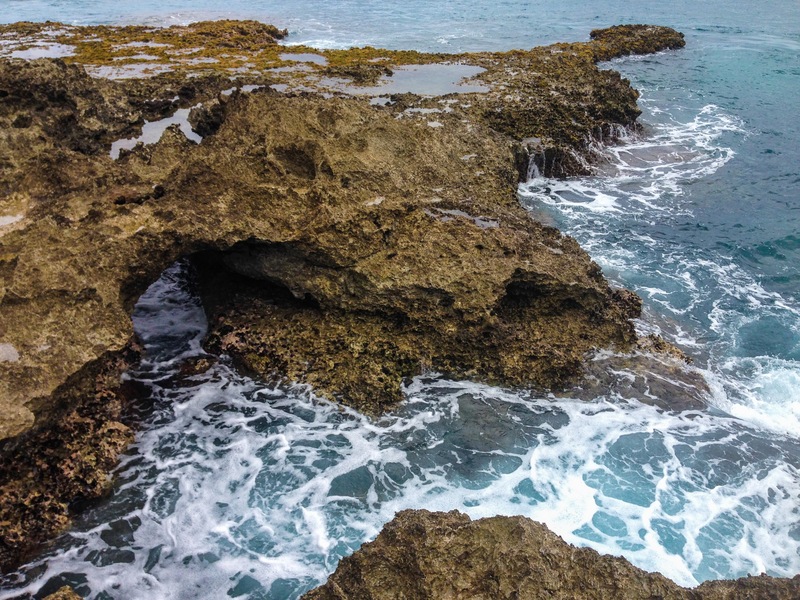 Ka’ena point trail offers views of the coastal line with waves rising and crashing onto the rocks, and if you’re lucky, a monk seal or two. This trail is rocky and takes about an hour or less to reach the point which is the most Western part of Oahu. You can also make a stop and view the Albatross and other sea birds that are in the sanctuary. This day we found some tide pools, little sea caves and openings in the rocks. Although it is a long drive to get here, especially if you live in town, it is definitely worth it! This area makes for the perfect nature walk, photo op, and great for exploring.